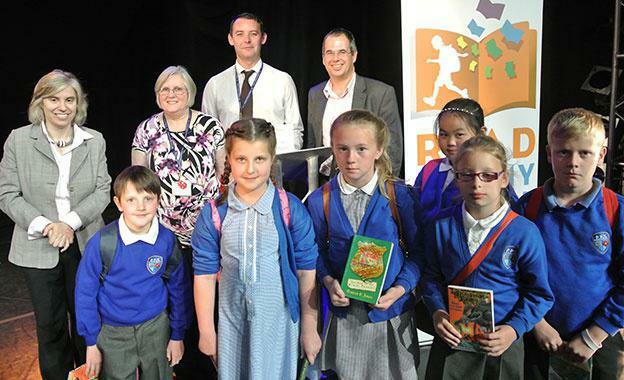 We are delighted to say that Padiham Primary School has won the Read for My School National Reading Culture Award, 2015. Our school’s application really impressed the national judges by demonstrating a true commitment to a whole-school reading culture through really creative initiatives and investment for the future. Reading for pleasure is at the heart of our initiatives, which aim to generate excitement about books and cultivate long-lasting positive attitudes towards reading. The awards ceremony took place at a special event at the Lyric Theatre, London, on Thursday, 26th June. The celebrations featured an exclusive performance from Horrible Histories: Barmy Britain 3 and a storytelling, song-singing performance from Steampunk Pirate author Gareth Jones. 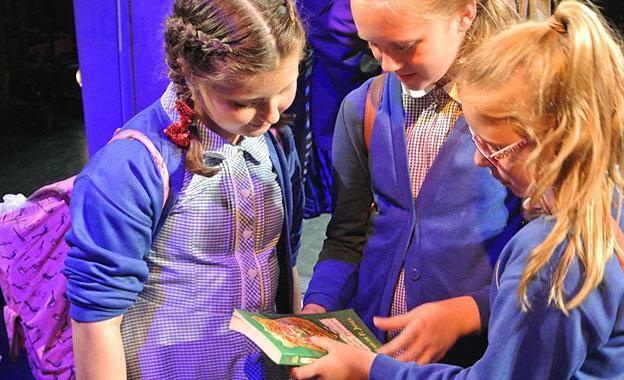 Mr Dunderdale, Mrs Longbottom and six children from Years 5 and 6, travelled to London to receive the award from Book Trust Chief Executive, Diana Gerald. The prize is a second £1,000 voucher to spend on Pearson Education products, a visit from an artist from The Beano to create an illustration of the winning class and a selection of books for our school library. Read for My School is the free national reading competition for children aged 7 - 13, delivered through schools in England since 2013 by Pearson and Book Trust, with support from the Department for Education.